A note. Many people have taken this post to be a harsh indictment of publishers, particularly Workman. That wasn't my intent. I am very grateful and indebted to Workman for giving me a chance on this book, and they have been great partners in making it a far better product than I could ever have managed on my own. I offer the criticism in the same spirit I would in a book or beer review--a critique of mistakes made. In this case, those mistakes have directly affected me and those who have been waiting for this book (including a lot of breweries and informants who made it possible). I felt I owed it to them to reveal exactly why it's been taking so long. Why does it take so long for books to go from ideas to paper and ink? We live in an age of advanced digital tools that make it easy for even amateurs to produce professional-looking books. Why then do publishers still proceed as if it's 1958? Good questions all. Roughly five years ago, I changed professions. I scrapped a reliable paycheck as a researcher at the local university for the very unreliable prospect of writing a book (or books). In conventional terms, the period has been a success: I signed four contracts, completed three manuscripts and am at work on a fourth--but in that time I've published zero real books. (The Beer Tasting Toolkit was a funny little side project that included a 6,000-word pamphlet, so it's not exactly a book, though it did actually make it out into the world.) Why it took so long is--to me, anyway--a fairly fascinating story; for those of you who started asking about The Beer Bible years ago, it may help answer the question of why it's taken so damn long. Publishing a book is expensive and risky; the large majority of books never earn back their advance. As such, publishers adopt a wise policy of skepticism toward any books pitched to them. 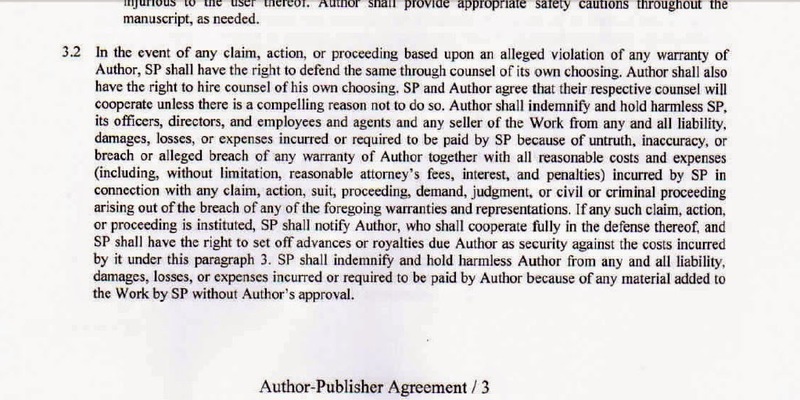 In order to convince them to publish a book, it's nearly mandatory to have an agent (who, more than anything else in the pitching process, is the person who vouches for you). To get an agent or a book contract, it is absolutely mandatory to have a proposal. This is a document that not only describes the project (including sample chapters), but outlines who the audience is, what the competing books are, what the market is, and how you're going to sell it. It's as much a business plan as literary document. 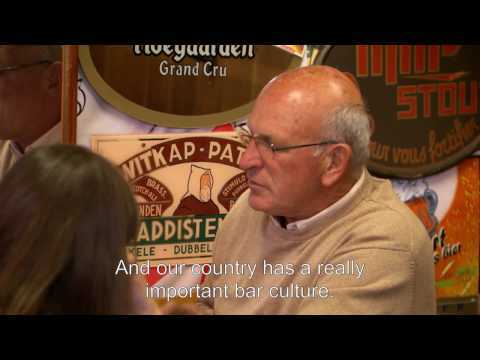 At the publisher's, a book will typically begin with an acquisitions editor or, in the case of The Beer Bible, the editor who would be overseeing the project. That person must convince other people at the publishing house that the book (or author) is both right for the company and a decent financial prospect. It works its way up the ladder until someone decision-making authority green lights the project. Joy! In the graph above, you can see the different amounts of time it took for this phase (in gray). It took a full year for The Beer Bible. My first contact with Workman was March 2010, and I got conditional approval a year later. Around the same time, I was approached by Chronicle Books about doing The Beer Tasting Toolkit, which was also based on an earlier wine version of the same thing. As with Workman, editors at Chronicle were judging me, not the book. Cider Made Simple was also Chronicle's idea, and they pitched it to me exactly three days before the manuscript for The Beer Bible was due. Since we'd already worked together, there wasn't a lot of footsie on that one. The current project, which I'll describe sometime soon, was the first book I pitched that actually got accepted. Since it wasn't a publisher's idea first, my agent spent quite a long time trying to coax Workman and then Storey into signing me. That one took nine months. When a publisher offers you a book, they outline the basic contours of what will become the contract. This is a pre-negotiation that usually happens quickly. (Either you will work for the advance they're offering or not, and while there's wiggle room there, it's immediately evident whether the deal is going to be adequate.) This is another great moment to have an agent. Book contracts aren't especially difficult to understand, but their implications are. If you don't understand the subtle ramifications of legalese (rules by which you'll have to live for years or decades), you can find yourself in trouble down the road. Once you've settled on the contours of the agreement, you can begin work on the book while your agent and the publisher hash out the details. Since contracting usually takes a couple months or more, it's time you do not want to waste. This is the one phase that went pretty much like I expected it to. The contract contains the due date for the manuscript, and they expect you to turn it in by then. (In the graph, the writing portion is in blue, and the diamond corresponds to the due date.) I've found that while you're writing a book, editors pay no attention to you and it can even be hard to get a response to questions along the way. Don't take up book-writing if you need someone to help you manage your time. Workman gave me two years to write The Beer Bible and Chronicle a year to write Cider Made Simple. I'm proud to say I've never missed a deadline. There's a pretty big moment after you've completed the manuscript where the publisher formally accepts it. This means they believe it's up to minimum snuff--and it's when they release the rest of the advance. It usually takes a month or two. This is easily the most mysterious part of the process. When you buy a book, very little of what you're paying for is the physical expense of ink and paper. It's paying the writer along with the salaries of copy-editors, photo-editors, content editors, layout people, publicity people, and salespeople.Once you deliver the manuscript, they swing into action to turn it into a polished, attractive, tangible object. In roughly chronological order, here's what they do. Content editing. An editor goes through the entire manuscript and helps you sort out the pieces that don't make sense, or are draggy, redundant, and so on. At Workman, they used three editors and went over every sentence with a microscope. I had to battle one editor who didn't like my voice and wanted to rewrite most of my prose (which would have been bizarre in just a third of the manuscript). At Chronicle, they used an incredibly light hand and only adjusted confusing parts. I'm not sure which is better, actually. The central benefit of a published book--as opposed to self-published--is good editing. Writers have collaborators who can help them get to the place they were shooting for. Although it took weeks more of time, I didn't hate Workman's strong hand. Copy editing. Grammar, punctuation, and continuity. At Workman, they use freelance copy editors, and the woman they assigned to me was spectacular. She was super detail-oriented and seemed to get stressed by ambiguity, which was reflected in her anxious comments. I would love to run everything I write through her. Print layouts and galleys. As the book is in various stages of editing, the layout people begin to plug the text into the format the book will take. This includes page design, font selection, colors, and art. Publishers have a strong vision of what they want to do here. Workman, for example, wanted me to snap a bunch of pictures on my travels, preferring the narratively-specific (but photographically limited) quality they'd bring. Chronicle, by contrast, decided to do illustrations rather than photos in Cider Made Simple. Once the layout is coming along, they do various digital and print versions, including what's called a print or bound galley--sort of a rough draft of what the thing will look like. This is the copy that goes out to booksellers and reviewers in advance of publication. For reasons completely inexplicable to me, the process takes far longer than it should. If you asked an ad agency to publish a book, they'd be able to turn it around in less than six months. The publishing pipeline takes a long time, and this is one factor. Publishers release catalogs they use to secure contracts from booksellers, and these go out months in advance. But they also just fart around and miss deadlines. I submitted The Beer Tasting Toolkit manuscript in December of 2010, and Chronicle sat on it until Feb 2012. The bound galley arrived yesterday. It illustrates the structural imbalance of the publisher-author relationship. The publisher has quite a bit of power over the work of the author; the author has no power over the work of the publisher (or, often, any idea what the publisher is even doing). The author needs his book on the market in order to earn his living (and is therefore motivated by deadlines); publishing employees get a paycheck either way. The author is one person; the publisher is many people. As this process has unfolded, I have had very little influence over events, so when Workman blew by their own deadline, there wasn't a ton I could do. To illustrate just how incredibly incompetent they were in managing their own affairs: I will have managed to write and publish an entire book in the space of time it took them merely to publish the Beer Bible. Put another way, it took me 24 months to write the 230,000-word book; it will have taken Workman 27 months to get it inside paper covers. Eventually books do get published. In the fall, I'll be doing some kind of book tour to support The Beer Bible (and maybe Cider Made Simple, though Chronicle hasn't responded to my inquiries about that.) A writer starts earning royalties once a book earns back its advance, and that can take months to years to accomplish. So publication is actually just another middle state in the whole process. Freelance writers have to pick their poison--books or articles. It's possible to do both--Stan Hieronymus seems to pull it off--but juggling the two is a challenge. I still think book writing was a good choice for me. I managed to get decent enough advances to make the books worthwhile and I have the expectation there will be royalties down the road. I also work better in long form. With books, you have pretty much carte blanche over voice and content. But, as I now understand, the process is more convoluted and opaque than necessary, and takes far longer than it should. So we'll see. After this current project is complete, I may go sniffing around Portland State University to see if they still need researchers. Well said and honestly said. After the third book, the offers for more came in but were declined given the lack of a chance of meaningful return. One was extremely exciting and maybe even important - a history with a university press - but when the numbers added up my colleague and I would have essentially subsidized the acquisitions editors wages to a far greater degree than we would have made after research and sales travel costs, even with the advances. I may end up writing that history or another but will self-publish. If "Unbearable Nonsense of Craft Beer" taught me anything, you lose a lot less and may even make money if you choose to not feed the publishing machine. I can understand why some would want to self publish, and why that so rarely works. I'm a big fan of self publishing. I can write what the hell I like. But my experience with old-school publishing was much less painful than yours. It seemed slow, but the end product looked pretty good. And, apart from having to cut stuff, I had control over the content. I'm pretty happy with my publisher. But I couldn't live from the money my books earn. And there's the big difference in our situations. I don't rely on writing for my income. I'd be shitting myself if I did. dagnabbit. my comment got eaten by google. grr. That was a very instructive piece. Thanks for taking the time to lay it out from end-to-end. And if you do decide to embark on a book tour and it brings you to Los Angeles, I should buy you a pint. An honest one, if I can. There are definite advantages to self-publishing (I've done it myself), but except for very famous people, it doesn't offer a great opportunity for money. Over the past 15 years, as writing as become ever less lucrative, even the idea of trying to live as a working writer seems frivolous, like gentleman farming. I'd really like to think it's possible to actually make a living by the only thing I'm really very good at--but the jury's still out. Ron, for what it's worth, in both The Beer Bible and Cider Made Simple, I wrote exactly what I wanted to write in exactly the way I wanted to write it. (I actually asked for direction and got nothing.) So, on that score, I feel sated--I had complete creative freedom. Brian, sorry about that. I looked to see if it went into the spam folder, but no. Sean, I should definitely be in Southern California. Dunno where or when. But probably I'll be blogging about the tour when it comes to pass. Thanks for your support! 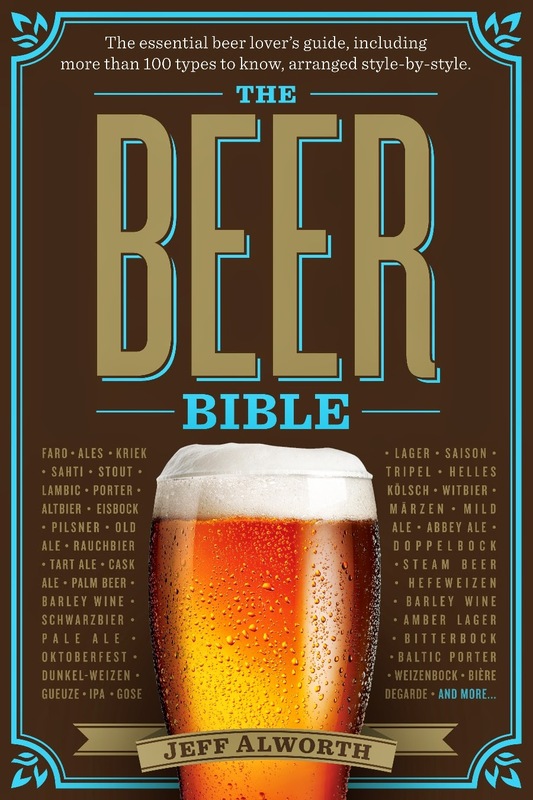 I'm sure it's no consolation coming from one person, but I've been excited to get my hands on a copy since I heard you were working on The Beer Bible, and will be pre-ordering. As for only very famous people making money with self-publishing, I don't think that's quite right, just going on my own experience. I think there's plenty of opportunity to make money with self-publishing, in certain subjects, if you are willing to do a lot of the work yourself. I think it's more accurate to say that, in general, writing about beer doesn't offer a great opportunity to make money. This is an instructive blog post that usefully explains your experience with the publishing process, which is why so many writers end up teaching: like the salaried employees of the publisher, it's a paycheck. And while there is perhaps something romantic about living from advance to advance and looking forward to royalties, it takes a certain personality type to accept that path. (Having an understanding spouse/partner doesn't hurt, either.) Because I loved--and still love--The Beer Bible so much, and because I am a working writer and teacher, I am grateful you took the time to honestly explain your journey, and I want to share this with my students of writing, as well as my fellow writers. You expressed the mismatched relationship between publishers and authors with dignity and just the right tone of voice. Thanks. Shawn, thanks so much for the kind words. I'd love it if students everywhere had some idea of the kind of experiences that may arise when they follow their dream. It's not that they shouldn't--I wouldn't trade the experience--but that they have a clear-eyed rather than romantic idea of the writing life.